The simple and elegant way to organize your money. 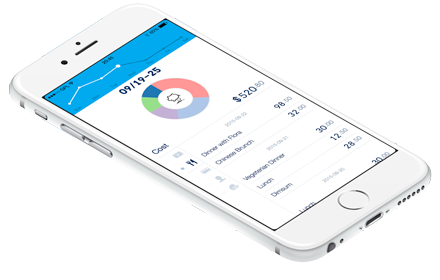 DailyCost intuitive design allows you to track your expense as quick as possible. Pull - number - category! In less than 3 seconds, that is all that required to create a new cost or income. 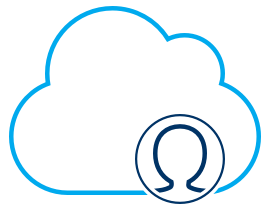 Synchronize and backup your precious data securely on the cloud. No more worries about loosing your data. 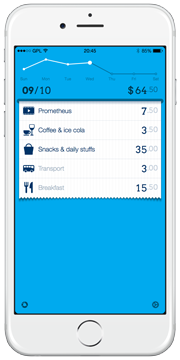 Travel around the world with DailyCost in your palm. 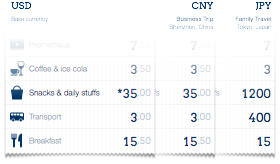 DailyCost supports more than 160+ currencies with automatic exchange rates update. 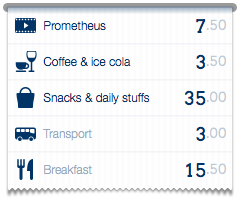 Reviewing weekly spendings and incomes by each category has never been such an enjoyable experience. A collection of exquisite wallpapers. Refresh the look of your DailyCost. Write down details to help you remember what happened. Categories like Food will turn into Breakfast according to time. Gesture based user interface allows simple interaction. Export raw CSV data to use in any spreadsheet apps. Over 160+ currencies updated to the latest exchange rates. Customize the look and feel with a bunch of great wallpapers. Review your spending trend to better control your budget. Syncrhonize and backup your precious data on the cloud. Supports more than 20 languages around the world. Prevent unwanted access to your private data. Learn where your money goes by week or month. Since October 2012, DailyCost has been featured and recommended by world media. Spread the ❤, make the world a better place! This app is originally designed and developed individually by Guopeng Liang (LinkedIn, website). 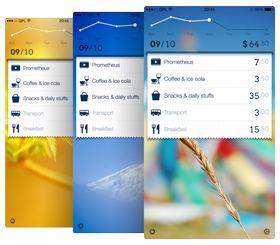 Fed up with complicated expense tracking apps, he determined to make one simpler and better. DailyCost © 2012-2017. Designed and developed by Guopeng Liang.